Russia’s military activity in the North Pole North has risen sharply since a British think tank said in its recent report. And she has also set a permanent soldier. The British Think tank has said in the Henry Jackson Society report in the North Pole, Russia has increased military training and exercises, has created new brigades and is providing natural resources. The report further states that Moscow is making new ice shipment, Soviet military military reopens have been reopened and has also installed missile warning systems in the North Pole. According to the Think tank report, Russia Aerodrums is also restoring and started working on building a large military base in Arctic Trefoil. Russia is violating the air limits of other countries. 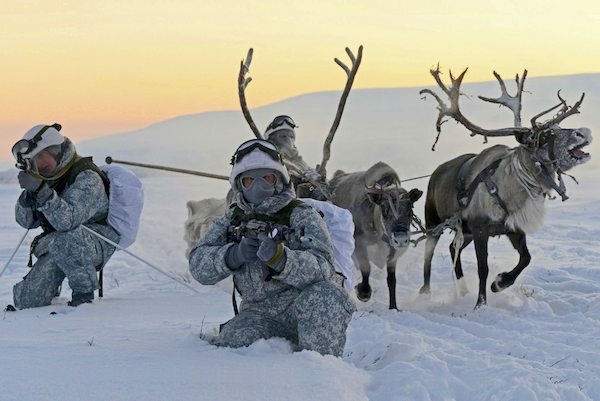 The report has suggested that NATO will have to make a strategy in the North Pole North and to work on joint strategy to face security challenges. Russia’s steps are being taken at such time, when Russia and West have been strained after the Russian control over Russia in 2015. Russia has increased the number of troops on all its borders, due to which NATO is also leasing thousands of soldiers to protect Eastern European allies. These countries include Estonia, Latvia, Lithuania and Poland. Statistics of the Think tank show that due to climate change, the importance of North further increased. Snow melting has become easier for countries to use natural resources. On the other hand, the Russian Ministry of Defense has said that 2 TU 160 bombs have reached the military base in the North Pole. And their arrival has been deployed to Airfield located in Shukaku. The Defense Ministry statement states that the 2 Strategic bombarders have landed for the first time on Aerodrums and they will participate in long-distance flight exercises. 2TU 160 bombs traveled from their base to Aerodrums, in which he traveled 7 thousand km. The statement further added that these exercises include 10 TU 160 bombs and TU 95 ms ships.